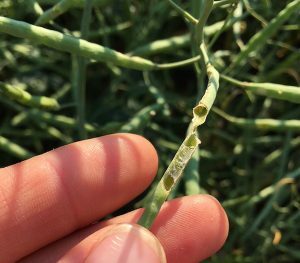 Pre-harvest scouting is a great opportunity to identify late-season insect threats, disease outbreaks and severity and weed escapes. While in the field, you can assess crop stage and harvest timing, and do an end-of-season plant count. Here are a few specifics to look for…. Three quick questions that may help you think differently about clubroot. 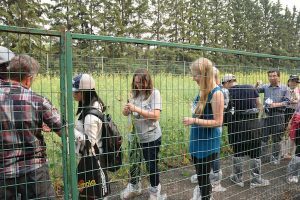 The International Clubroot Workshop in Edmonton August 7-9 attracted more than 200 researchers and extension staff from at least 12 countries. The agenda included presentations and conversations on clubroot research, observations and management tips. Here are the top 10. 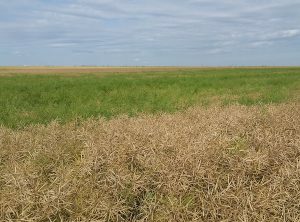 Canola fields with large areas at different stages lead farmers to ask the inevitable harvest timing questions: When do I swath? Should I leave it standing for straight combining? Some canola fields are looking weedier than expected for this time of year. If you see fields like this, think about the cause and, if appropriate, consider a different approach next year. Prepare to reduce combine losses. Prepare to cool hot canola. Prepare to collect good data from on-farm trials. Tip 1. Have operational fire extinguishers mounted on equipment and ensure everyone is trained to use them. Fire extinguishers need to meet the requirements of the provincial fire code. As a safe practice, ensure you have one in the cab and one that is accessible from the ground.